Balayage is a French word that means to sweep. It is a hair colour technique that allows for a sun-kissed and very natural look. Its ultimate goal is to create the gold reflects that the sun gives naturally to hair in summer. More natural than a full head of colour, balayage is the ideal choice when you want something subtle, or to boost the natural reflects, and give a new dimension to your hair. This timeless technique is the most popular hair colour requested in salons today. Balayage gives a healthy looking finish that looks glossy and expensive, which can be worn subtle or bold; it’s all about the application. Its popularity comes from the fact that it is extremely low maintenance. A balayage will grow out beautifully and very naturally so you don’t get a clear regrowth line. Discover the perfect summer Balayage. An ultra natural Balayage result with a subtle hint of colour to add a bit of warmth to your hair, just in time for the summer. Think salted caramel and warm mocha tones, this look will give your hair a radiant and natural-looking glow. This look is perfect for a soft and bespoke Balayage result. If you are wanting to go a little lighter around your face but not yet ready to go the whole hog, the Soft French Balayage service is perfect for you. With a few lighter pieces placed strategically around your jawline to frame your face, this look will give your hair that extra boost and feeling of’je ne sais quoi’ this summer. The technique will give you a really natural and blended colour result to enhance your favourite facial features and bring on the summer holiday vibe. If you are already a lighter blonde but want to turn up the dial, the Defined French Balayage service is perfect for you. It gives a beautiful sun-kissed hair colour result for a bright summer glow. The lightened pieces sculpt the face and jawline to contour the face and bring out your best features. The technique uses contrasting blonde shades to add depth to the hair and give your blonde more definition. Go on, brighten up your summer and give your hair a boost of sunshine. The blonder the better? Look no further. 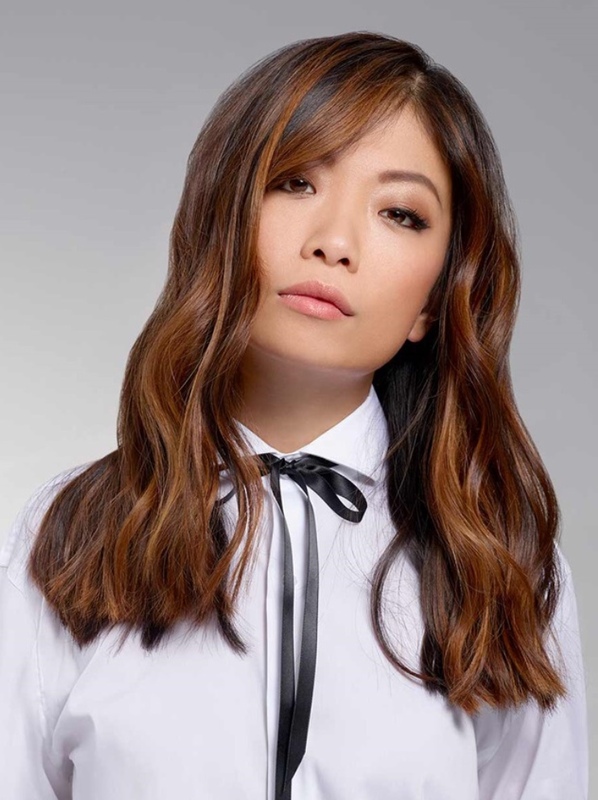 Our Intense French Balayage service is the one for you.It combines medium to narrow lightened pieces throughout the hair to create a bright and bold Balayage result. The technique uses contrasting blonde shades to add extra depth and dimension to the hair for a full and intense look. Make a bold blonde statement this summer and turn up the heat!